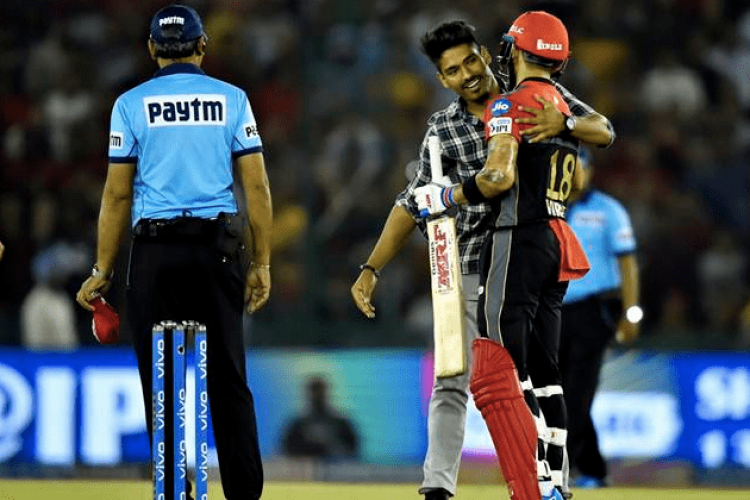 The Indian Premier League match between Royal Challengers Bangalore and Kings XI Punjab on Saturday witnessed the latest case of pitch invasion as a fan rushed inside the ground to hug Virat Kohli. The fan rushed inside the ground and tried to hug Kohli who was in the middle of a great inning while chasing a competitive total of 173/4 posted by KXIP. The ground authorities later detained the fan.